The Vehicle Communication & Measurement Module (VCMM) combines all of the functionality of the VMM, VCM II, and MTS 4000/4100 vibration analyzer in an industry leading one-box solution. This is the same kit that is in all the Ford service Dealerships. This kit will do all makes/models of Ford Trucks, Cars, Gas, Diesel 1996 - Current Year. This is the highest level of access one can get. 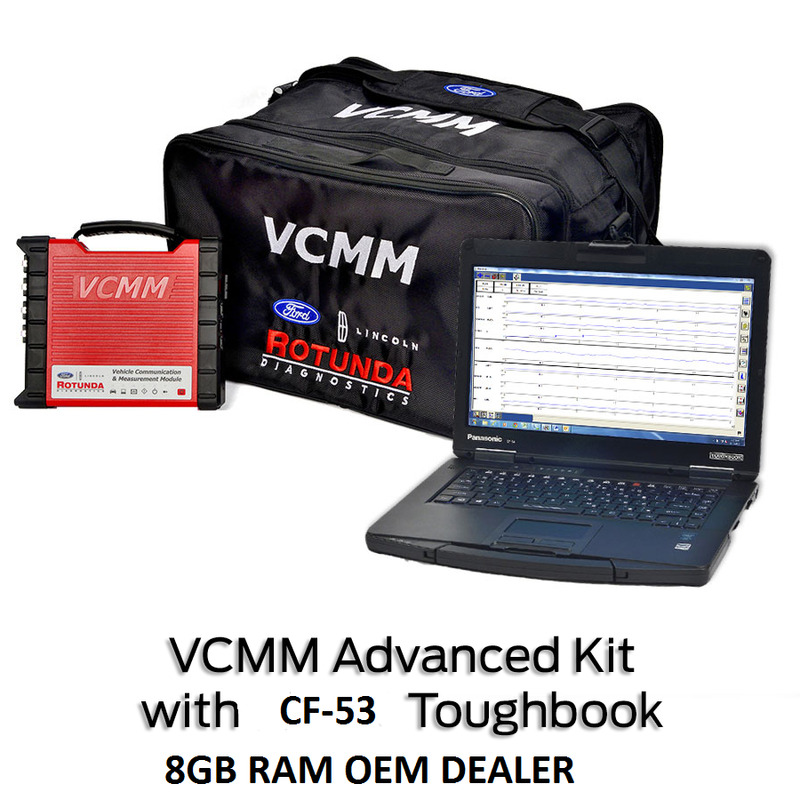 This semi-rugged laptop computer is the new preferred laptop from Rotunda that meets or exceeds the specifications to run the IDS software with the VCMM, VCM or VCM II.